The author of the memoir Pardon My French returns with a bildungsroman about three friends who face deaths and spiritual awakenings together. 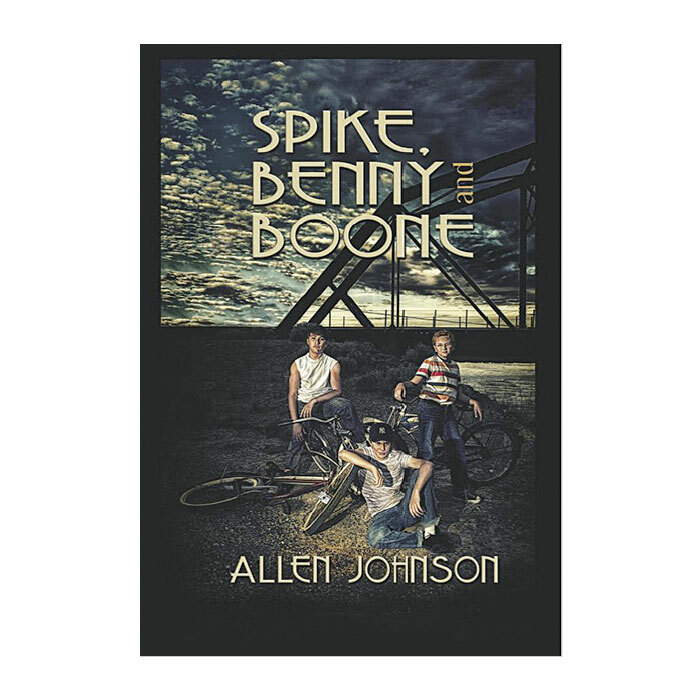 Allen Johnson has crafted a novel that spans 53 years, as three boys form a lifelong, unbreakable bond on the banks of the Columbia River. The novel’s first half takes place in 1958. The “Terrible Three” 12-year-olds are Spike, an athletic daredevil bad boy with an alcoholic father; Benny Devine, a compassionate redhead who can’t kill a spider, instead letting it crawl onto his hand so he can transport it to safety outside his home; and Clarence Boone, the professor and word nerd who knows better than to introduce himself as Clarence: too wimpy. “Ah-dishes? What the hell is ah-dishes?” Spike asked. “He means scary,” Benny explained. “That’s a rather unpleasant metaphor,” Boone said. Spike also mauls the language, managing to derange even the simplest of clichés. “You could have knocked me over with a fender,” he says at one point. Just how interwoven becomes clear in the second half of the novel, set in 2001 and mostly taking place in France. Mysteriously, a just-published book echoes the words of the now-grown friends’ long-dead spiritual mentor, David the Hobo. How that came to be is why anyone interested in spiritual growth and “mindfulness” should dive into Johnson’s novel. By turns touching, funny, and wise, Spike, Benny, and Boone is a satisfying read for those of us struggling to make it through interesting times.